Anyone ever have this issue? Any tips or instructions someone can point me to that might help me repair it? Attached is a picture that shows the issue. Have you tried heating them with a hair drier? I've had the same thing happen to mine! careful - it starts creeping up and now covers 1/4 of the screen! I don't know if it's caused by the heat here in Houston, TX but it's quite annoying! It's nice to hear someone else has had the issue. 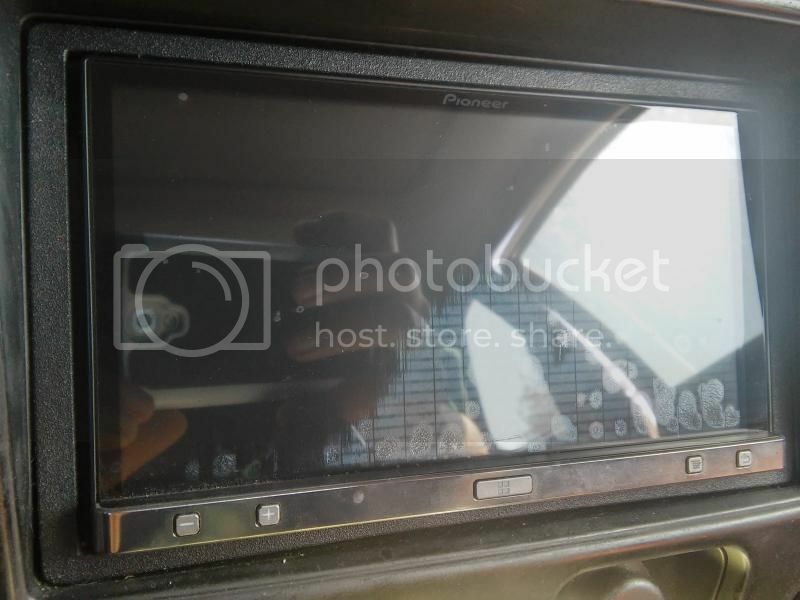 Pioneer claims to have never seen it before and their "official service provider" here in Ottawa refuses to even look at the stereo in the dash - like seriously won't even look in the car..apparently that's their "policy". It may be heat related but if so I'd be pretty surprised..or they units are literally big peices of sh*t. For that reason I'd be weary of using a hair dryer on it. I live in Canada and the highest temperature has hit maybe 32 degrees..which by summer standards is pretty normal. I also use a dash cover in my windshield. These wouldn't stand a chance down south if that's the case I'd say. After only having this unit for 2 years and with virtually no help from Pioneer I'd be hard pressed to 'upgrade' to any other Pioneer unit. Anyone ever take one of these screens off to repair them? I do have exactly the same problem, I live in Montreal, same temperature as Ottawa and I do have 3/4 of my screen almost unreadable now. I do not know what to do ! i've been having the same issue with mine. looks like oily finger prints inside the screen. it started with a couple now covers most of my screen. just about a week ago the touch screen started giving me problems too. It's having trouble sensing when i touch it. I was thinking it has something to do with the heat also. i'm in sacramento Ca and this summer has been hot some times over 100 and thats when it started getting bad. i've been looking for a replacement screen but no luck so far. I noticed one mark just like that on my AR2 screen a couple of days ago. If you look closely you can also see a grid-like pattern developing in the screen. You'd have to look at it at a certain angle though. I have no reason to believe that Pioneer can do anything. Isn't the warranty something like 90 days? This radio is just over two years old and it's disappointing that the screen is starting to fail. Mine still works OK and you can only see the blemishes in certain light. I think it should live long enough for me to find a replacement. Just waiting for Alpine's new CarPlay HU and then I'll make a decision. I don't think I could make much money selling a used AR2 with a messed up screen to anybody. I may find a nice creative way to destroy it. I too have this problem. It started out with 3 dots in the bottom right a few months ago and has since developed into bars that stretch over a good third over the screen. It's like whatever adhesive is holding the outer plastic to the actual display is failing. The unit is 2 years old so there i don't have any warranty left on it. I live in Southern California so it gets pretty warm here too. I was going to post a picture but I guess I don't have to because that's exactly what mine looks like, only less severe. I only have two of the "dots" and my "bars" are probably 40% of what you've got. Also two years old. Also SoCal. I'm OK for now because I have to look at a specific angle to really see it and I don't notice it while driving. But I know this radio's days are numbered. For now I'm waiting for price drops on Appradio 4 or Alpine iLX-007. I anticipate better prices around the Holidays. number and return shipping address. $80 just for them to look at it, plus who knows what for a new screen and labor. ugh i think not. At night it doesn't look like there is any damage but in the day it looks gross. Sooner or later my screen will be too ugly to use. 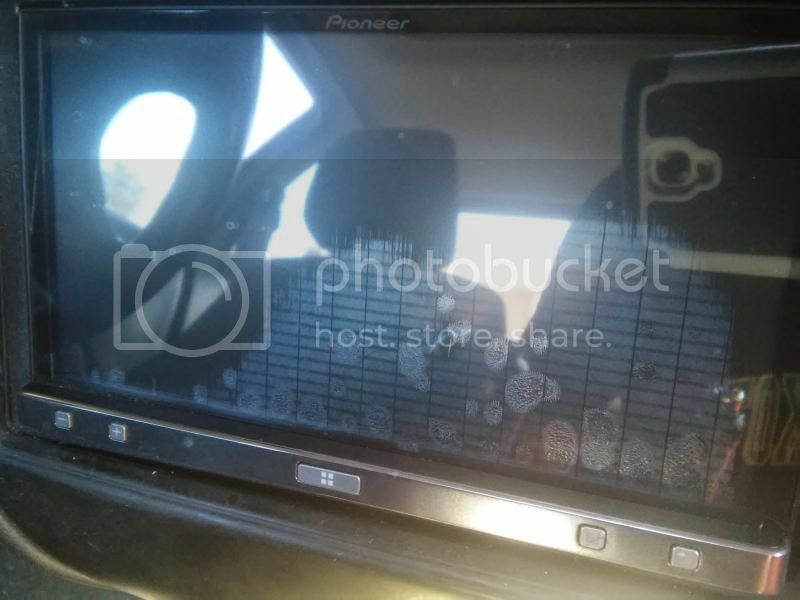 I contacted Pioneer over my concern of whether or not the AppRadio 4 will exhibit the same screen issue as several AppRadio 2 users have demonstrated. I mentioned all the recent capacitive touch screens (AppRadio 2, 3, 4 and NEX8000). Their reply was, "Thank you for your inquiry and feedback on the SPH-DA100. The construction of the screens for the newer models are different that [sic] that of the prior AppRadio models. Including the AVIC8000NEX." What do you gather from this? It sounds like the AR4 is definitely constructed differently, but the way the response is worded is confusing. Should the 8000NEX screen be grouped with the newer models or the older models? I'm thinking that it's included with "prior AppRadio models". Punctuation and grammar are good mmmkay. I have also experienced this issue. I don't think it's heat related because I live in Rochester, NY. Mine started as a single noticeable dot in the lower right corner and has now crept across 75% of the screen. It hasn't impacted the touch sensitivity. I understand the head units are far out of warranty but still very disappointed in Pioneers build quality of these. Will definitely hesitate to buy more Pioneer equipment after how hard the Appradio has failed me. The truly bad part of the screen issue is that it now has 0 resale value. The fact that Pioneer says the AR4 has different screen construction than the AR2/3 lead me to believe that they have improved the screen and maybe even know about the failures we've been experiencing. I'm probably going to give it one more shot with the AR4 since the Alpine unit is kind of an unknown quantity at this time. 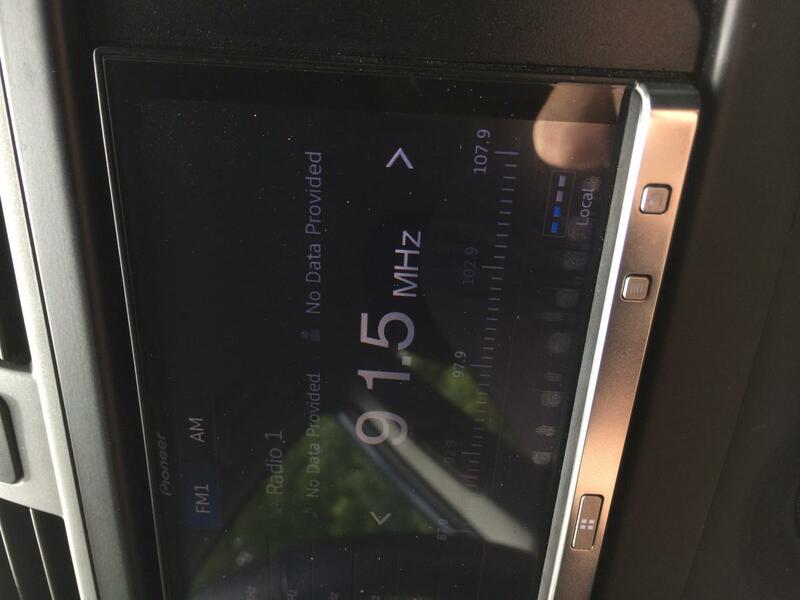 I had the same problem after 2 years on appradio 1 sphda01, paying the difference with the Pioneer assistance I have changed with appradio 2 sphda100 thinking that he could not have the same problem with the display. Probably is the poor quality of materials that makes them degrade!